After waiting and planning (mostly by Reinhard) for a long time finally, the Ellesmere CLUB41 members had arrived on Thursday, 16 June 2016. Andrew P and Alan had taken a car in order to test drive our famost Autobahn. Thanks God, both of them have adjusted well to driving on the “right” side of the streets and nothing has happened on their journey. David, Andrew S., Maurice and Tom were picked up by Reinhard at the Frankfurt airport. Since it was the time of the European football championship our guests had to watch England vs. Wales. We are politely keeping silent about the outcome of this match. After that our guests had to watch some real football at Reinhard’s in the evening: Germany vs. Poland. Quite a welcome party where Maria was taking care that nobody was starving. The night ended fast and Reinhard, Fabian and Stefan played their role as home hosts. Next day on Friday after a lazy morning, we all met for lunch at the Chinese Pavillon – all you can eat. A perfect way to start a day of adventure. Adventure it was: Reinhard had organized some Geo Caching. New for everybody. Goal of the outdoor game was to puzzle a word where the individual letters had to be found by looking for numbers by GPS tracking, solving some riddles, winning those letters and finally compiling the letters to the winning word. It was clear that not the most logical people (like the engineers among us) but the crazy ones had a clear advantage to solve the riddles and thus, to win. Geo Cashing – how the hell shall we find anything with these gadgets? The day in the outside was finalized at Fabian’s who turned out to be the master at the grill. His well done steaks went well with the salads donated by the ladies of OT97. A clear sign that the group had some elderly members was that by 10:00 PM some had closed their eyes and partied in a very silent way. 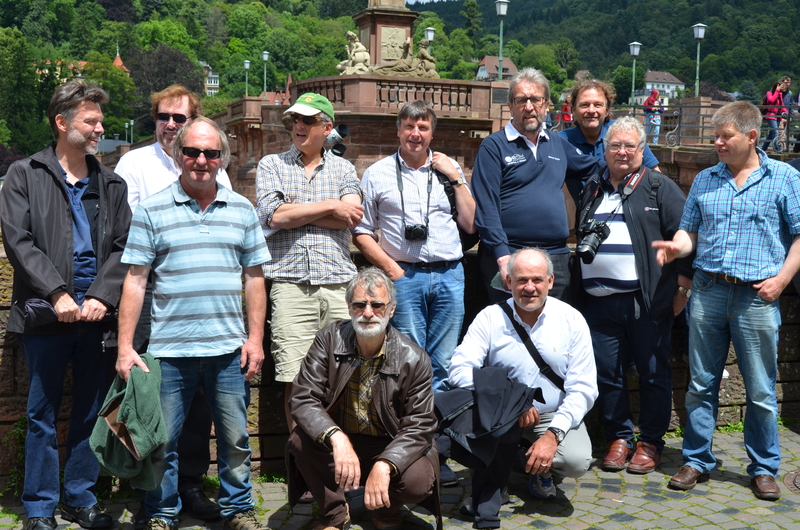 On Saturday, we all met in Heidelberg to do the classic tourist tour: Climb up the hill with the cable car, run (this was a German precision tour) through the ruins and exactly when it started to rain, stop for lunch. Next and last day was Sunday: Stefan and Kristina had invited for the good bye brunch. Unfortunately, Andrew P. and Alan had already left by car and did not participate while the other CLUB41ers had to suffer through brunch. At 01:30 PM Stefan took the remaining CLUB41ers to the airport to make sure they left for Britain alright which in the meantime is its own continent: Britain had voted for the Brexit. So, next time we exchange, we have to get a Visa and somebody who can vouch for us. 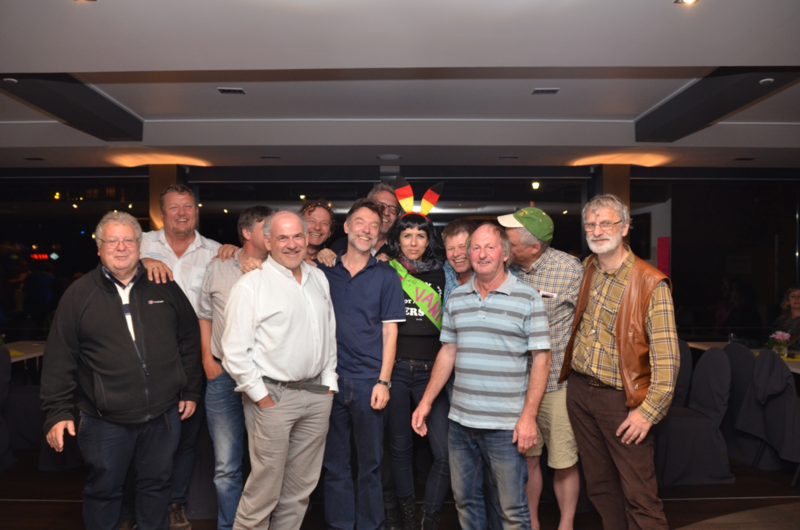 Unfortunately, the extended weekend passed way to fast and we thank our friends from CLUB41 Ellesmere for being such a good sports the Germans free of any humor can have fun with.